Silver Gorilla Fart No.2 is our newest strain for 2017. She’s a smelly beast. We took our strongest male Gorilla and crossed him with our world’s strongest Korean Skunk and Silver Haze. You end up with a strain that has agressive hits to your body and mind, just like your being attacked by a silverback gorilla, who hits you again and again. It adds the creeper part of your buzz. The Silver Haze helps keep you going, adding longevity to your high and toning down the size of each wave so you don’t freak out. 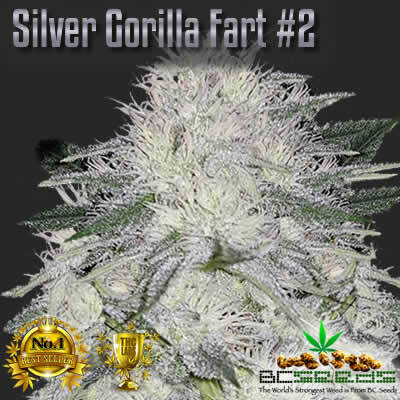 Tags: Silver Gorilla Fart No2, World's Strogest Strain. 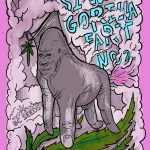 Silver Gorilla Fart No2 lineage. Finaly we get to our Korean Skunk in the mix. That just makes her buds stink up the place like the gorilla farted something unreal. 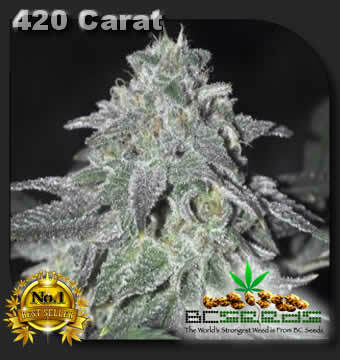 Silver Gorilla Fart No2 will give you sticky fingers and she’ll smell up your grow room. You’ll have to spend extra on odor control if you plan to grow her indoors. 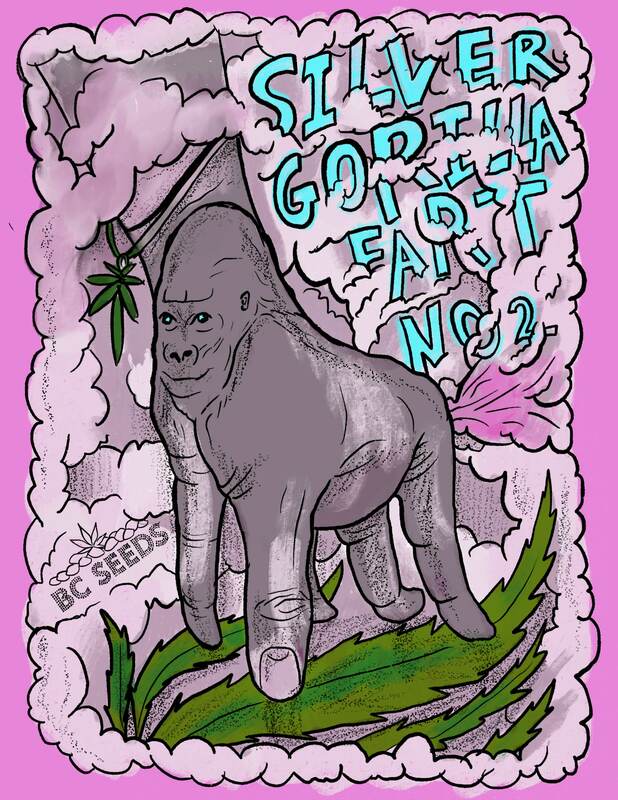 Silver Gorilla Fart No.2 has very high THC and CBD levels. She’s and excellent choice for making your own CBD oil. Indoors she tops out at a height of 4′ and outdoors she’ll reach upto 6′ tall. Finishing in Mid October outdoors in Canada, she’ll a nice yielding strain for cool or hot climates. Outdoors she can bring in 4lbs dried bud per plant.